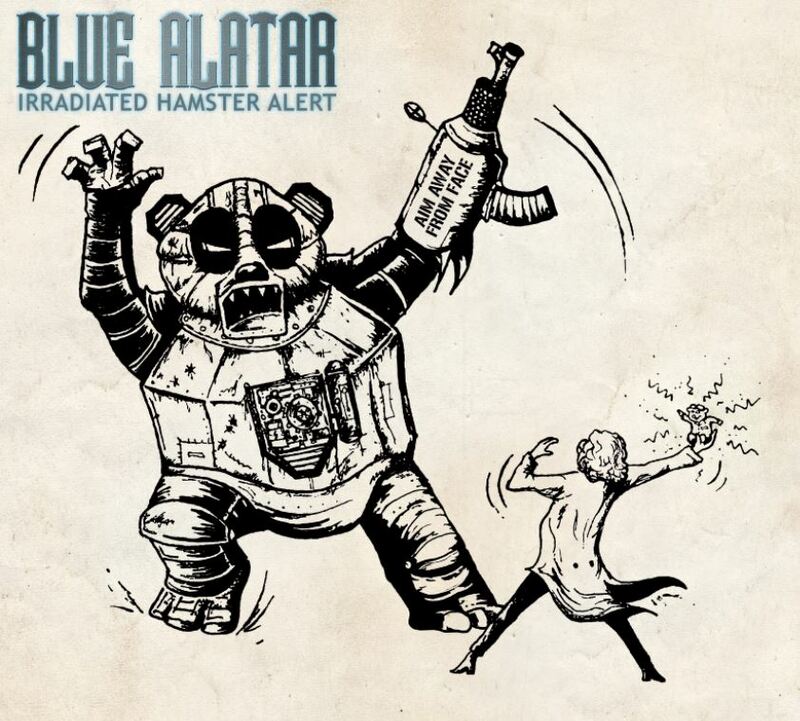 British Cinematic-Rock studio band, Blue Alatar, have revealed their debut instrumental album: Irradiated Hamster Alert. The 10-track album combines elements of heavy, modern rock with crunchy, psychedelic synths and cinematic sound design. Exciting tracks keep listeners on their toes with epic orchestras, groovy riffs and soaring guitar solos. The album has received praise from steampunk MC Professor Elemental, amongst others. The bands cite a variety of influences: riffs and solos are influenced by classic and modern rock bands from Whitesnake to Black Stone Cherry; whilst Ozric Tentacles are responsible for inspiring the various synth textures and arpeggio patches. The big percussion, orchestral elements and sound designs are inspired by film composers Hans Zimmer and Bear McCreary. Of the new release, guitarist and project-leader Liam Taylor says: “Irradiated Hamster Alert has been an on-and-off project for several years. It tells the story of a radioactive hamster, Gilbert, overthrowing a tyrannical robot panda. Storytelling through instrumental music isn’t easy, but I found it a uniquely engaging challenge. Music isn’t meant to be taken seriously - I hope that comes across.” The music of Blue Alatar, whilst largely written by Liam, features long-time collaborator Si Pettit, (Subterranean Popular), on bass, 12-string guitar and as co-writer. Based on Rise of Pandapoppolis, we are excited to hear the album in full. It promises to be an exhillirating blend of genres with creative sound design and flashy guitar-work. Irradiated Hamster Alert will be available to the public on September 8th 2018, over Spotify, most streaming services including Blue Alatar’s BandCamp.